U.K. artist Martin Springett was a well-known, highly regarded illustrator, before releasing his first album as The Gardening Club in 1983. To celebrate the album's 35th anniversary, Gonzo Multimedia is re-releasing the album with an additional five studio bonus tracks. 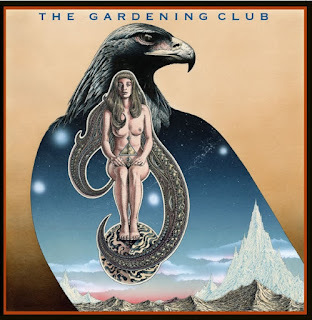 The Gardening Club's debut album has been heralded as "the right album at the wrong time." Influenced by bands like King Crimson and Yes, the album carries a 70's style vibe with songs like "Andromeda" and "Rebirth." The beautifully complex time signatures are heard throughout the album, in songs like "Three Days In Brighton" and "Arial Adventures." The new bonus tracks fit perfectly next to the tracks from the original album as they all possess that nostalgic, seventies rocks sound. To find out more about The Gardening Club and the re-issue of their 1983 debut album, please visit gardeningclubmusicandart.ca.